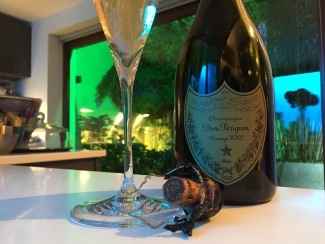 With the recent launch of Dom Pérignon 2006, it is the first time in the brand’s history where it has released five vintages from consecutive years. The run started with the fabulous 2002, a year after the disastrous 2001 vintage, a year you rarely see on a champagne label, since it was one of the rainiest ever recorded in Champagne! You can see this when you taste the champagnes. They are all great expressions of the character of the vintage. So with this in mind we thought there couldn’t be a better time to taste these last five vintages and do it blind so we can’t be seduced by vintage reputations! I brought the TFB team together and also invited Jancis Robinson and Matt Segar, owner of Fredericks, our local restaurateur with a passion for champagne. This is the order we tasted, though at the time we blind tasted. So I had three favourites; the 1999 is another examples of what great champagnes can come from a year that wasn’t considered very good. The 2004 always performs but I still would go for the 2002 which is drinking so perfectly now. I can’t wait until this is released as a P2, though that’s probably 5 years away, since extended lees contact of around 12 years that the P2 receives encourages the fruit to come forward more. 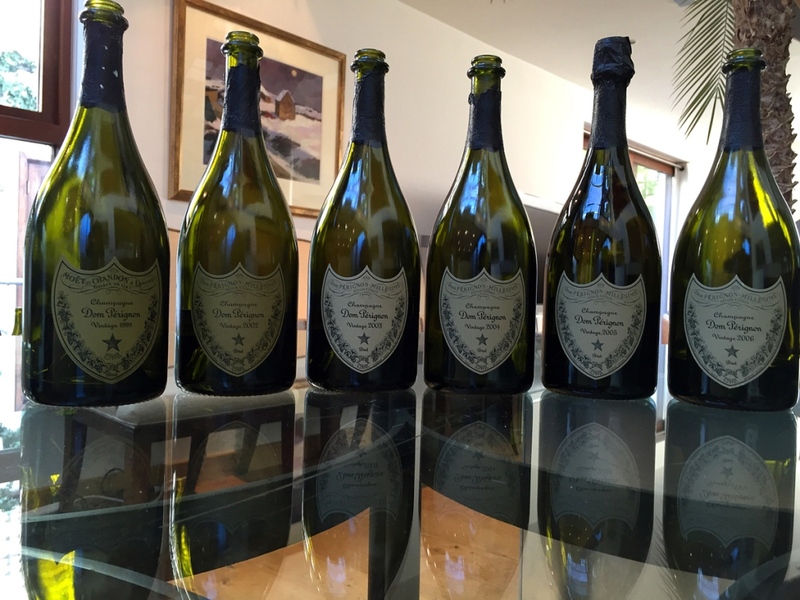 Geoffroy comments “that he believes the optimum age for Dom Pérignon to show off its fruit at its peak is with the P2 releases.” It seems another bit of magic happens in those extra years on the lees! The only person to get all the vintages right in this blind tasting was Jancis Robinson! To celebrate these fascinating run of consecutive vintages we have worked together with Dom Pérignon to bring you a limited release case, containing one bottle of each of the champagnes mentioned above. These are limited to just 12 cases, so I’d get in early.